The holiday season can be a challenging time for maintaining exercise habits. The days are shorter, the weather cold and wet. Work deadlines are due. Food patterns change as heavier and warmer comfort foods invade our homes creating lethargy. Also, the holiday season usually means travel or hosting family and friends that may not share the same exercise habits. So how can one overcome these challenges, embrace the dreary weather and keep active during the holiday season? #1. Equip yourself for the elements. If you are equipped to get outside to walk, run, hike, or bike, it eliminates the excuse that it is too dark, too cold, or too wet. 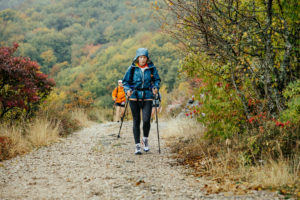 Key basic equipment for these activities include moisture wicking base-layers, a water-proof jacket or vest with reflective properties to enhance safety, warm tights / pants / water proof layer for leg warmth, a headlamp to light your path, and appropriate footwear for your activity. Eliminate whatever excuse you have by equipping yourself to brave the elements. #2. Create routine cues and prioritize exercise. It is easy this time of year to sleep late and replace the time you have for yourself with time donated to others. You are much better at serving others if you can take care of yourself too. A primary strategy to trigger a habit of daily exercise is to exercise early in the day. 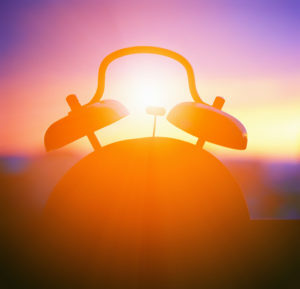 If you struggle to rise early in the morning because it is dark, consider a sunrise or dawn simulation alarm clock. These are designed to gradually allow you to wake with increasing daylight simulating the sunrise. Another option is to sleep in your exercise clothes, so when you wake, you are at least partly prepared to exercise. Other cues would include setting out your exercise attire the night before. #3. Set a 3 to 6 month goal and/or make a significant commitment.“Invest” in something meaningful. Perhaps that investment involves a financial-based, time-based, friendship-based, and/or effort-based commitment. In any case, it needs to be a commitment where failure to participate in the process has a meaningful consequence or sense of loss to deter you from blowing off the commitment. Maybe that means signing up for a goal race with a friend. Perhaps, that commitment involves meeting 2 days per week with that person to train. Another idea may be paying upfront for 10 sessions at a yoga facility to be used in 5 weeks. #4. Reinvent yourself. Starting a new activity may trigger the positive reinforcement you are looking for. New experiences can reinvigorate your mood and desire to stay active. If you are getting bored with your exercise routine, change it up. If you are not a committed cyclist, runner, or walker year-round, try something else. Winter activities abound in the mountains of our region from downhill and Nordic skiing to snowshoeing. Perhaps a weekend of challenging new physical activity reminds you that getting out for a brisk walk or run mid-week feels better than not. If you are not a fan of the outdoors and cooler weather, look to a new indoor activity that you have never tried. You could be as aggressive as trying rock climbing, joining a spin group (stationary cycling with a leader), or a mat class such as yoga or pilates.